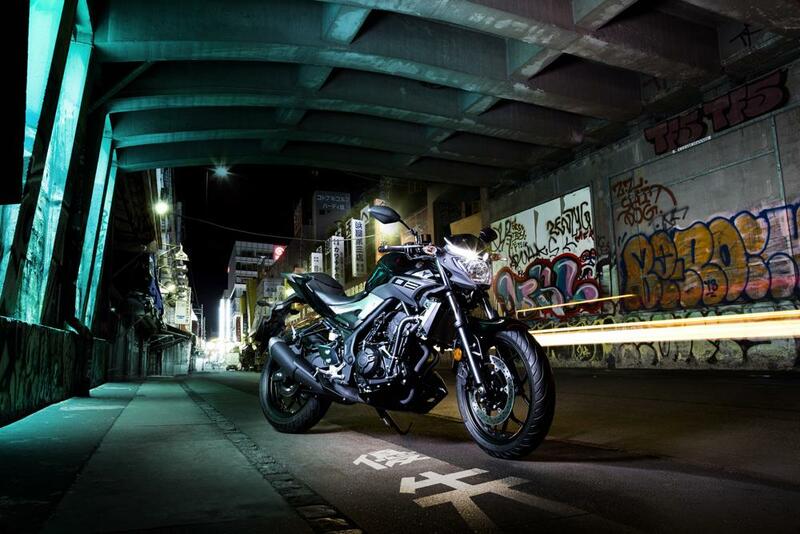 The long awaited MT-03 marks the latest addition to the hugely successful MT family. It bridges the gap between the single-cylinder MT-125 and parallel-twin MT-07 by offering riders a step-up bike that’s A2 compliant. Yamaha has used the YZF-R3 as the donor bike, given it a naked makeover and tweaked the ergonomics. Everything else remains the same, it uses the same 321cc parallel-twin motor with 42bhp and 22ftlbs torque on tap. The chassis, wheels and suspension all remain the same. The MT-03 is priced at £4,499. We'll be riding the bike tomorrow so check back for the first ride report. MCN Fleet: Can a Yamaha MT-03 keep experienced riders happy? "Ideally an urban/commuter tool, the MT-03 gives you more than enough fun if you want some bendy weekend scratching, too"
"In theory a perfect funky first bike but badly let down by its chassis and price"
"Great for taking you to work or throwing you around mountainsides at weekends"
"Top notch cycle parts adds up to a street-savvy, flat track styled city scalpel of a motorcycle"